When I was about 13 I found a white bomber jacket in H&M that I absolutely loved and, after about a month of saving, it was finally mine. I wore it constantly for a good couple of years until one sad day when we were in such a rush to get to the airport that I left it behind in the apartment Apparently most people didn't feel the same way about it as I did because, upon telling my friends the news of the loss of my jacket soulmate, the only response I got was 'thank God'. Hmm. So, when I saw this one on the Glamorous website I decided that it must be the re-incarnation of my long lost jacket and that we could finally be together again. I'm still in two minds about whether to send this story to Oprah or not. I've also taken to wearing two layers of dresses at the moment because it's so goddamn cold... Those sunny days of last week seem like forever ago now that I'm back in Goosebump City. Such a good idea to wear two dresses, I had my hopes up that it would keep getting warmer! Gorgeous dress, the bomber jacket and you were clearly meant to be. Send it to Oprah PLEASE! Love the print on the dress! Another lovely outfit post... as always. 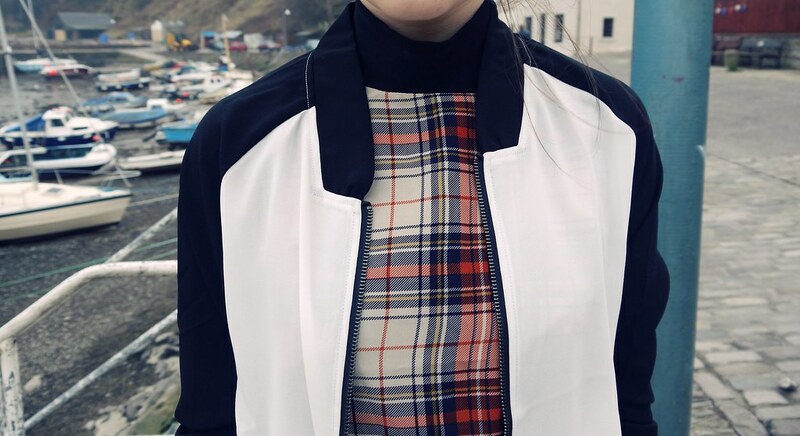 Love the mix of the bomber with the tartan. I recently followed your instagram too. You look fab and your bomber is gorgeous! Love how you've styled his bomber! Like so much ♥ Is very beautiful ! Want this jacket so much! Polo necks and tartan are like, my FAVORITE combination ever! Love it! You look amazing! That dress combined with that bomber looks great! Love the bomber! Love Love Love your style! I love how mod you always are. :) Your blog is one of my favorites. 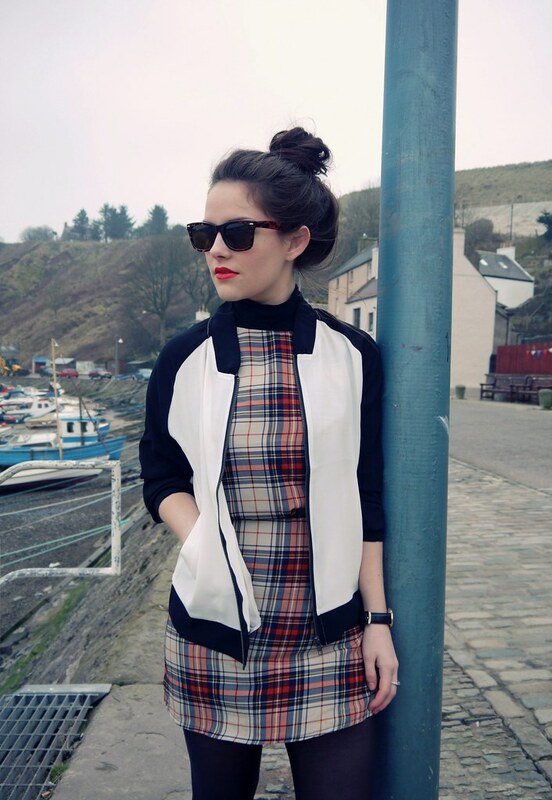 That's the perfect monochrome bomber! Fabulous outfit, love that dress the print is so beautiful, and the jacket is such a fabulous addition, wonderful styling!! you look amazing! 60's chic, love it! Absolutely beautiful, love the mix of colours and pattern!